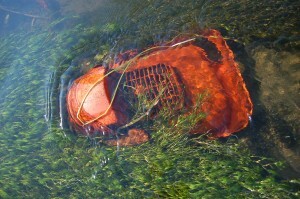 Fly-tipping is a serious problem for the Wandle and many other urban rivers. Not only does it blight the landscape but it can pollute the water and damage the river environment. Rubbish dumped on the riverbed (from plastic bags to larger items such as car parts, bathtubs and arm chairs) traps silt which smothers the natural gravels on the riverbed where plants and animals live and fish lay their eggs. Other items can be directly toxic, such as motorbikes which leak fuel. 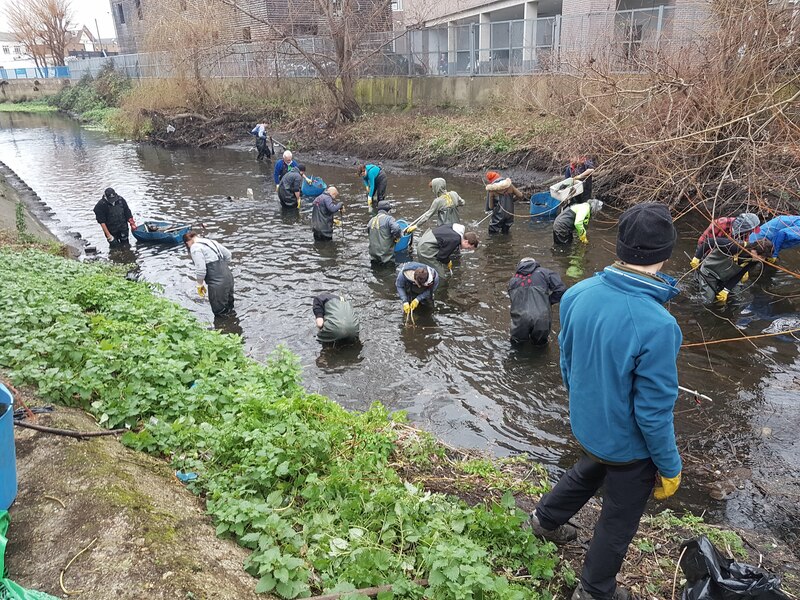 This is why the Wandle Trust run Community Cleanups every second Sunday of the month along the River Wandle, and have been for over 15 years! What is a Community Cleanup? Our cleanup events are open to all. There is no need to sign up in advance of an event, just show up on the day. Families and children under 18 are welcome as long as they are accompanied by a parent or guardian. If you are bringing along a large group (10 or more) please email cleanups@wandletrust.org so we know to pack more cake. There are jobs for every level of fitness so come and get stuck in! Do wear protective gloves at all times. Do wash your hands before you eat, drink or smoke. Do take your time accessing the river. You may have to use a ladder to get into the water, and walk down a steep bank. Do be careful when wading, walk slowly, watch out for tripping hazards. Do watch out for deeper areas, use your litter pick to test depth. Do come prepared for the weather (appropriate clothing, suncream, drinking water). Do alert a Supervisor if you hurt yourself. Do be aware of other users on the Wandle Trail, and nearby roads. Don’t try and lift heavy items on your own & stand back as items are lifted up the banks. Don’t throw any tools or rubbish as there may be people walking nearby who you are unaware of. Don’t splash each other or yourself while working. Don’t dig around under the water with your hands – use the litter pickers provided and the tools like the wrecking bar. Don’t throw the tools or bits of rubbish to each other, pass these by hand to protect those around you. Don’t keep sharps, such as needles, in your trug. Alert a Supervisor! 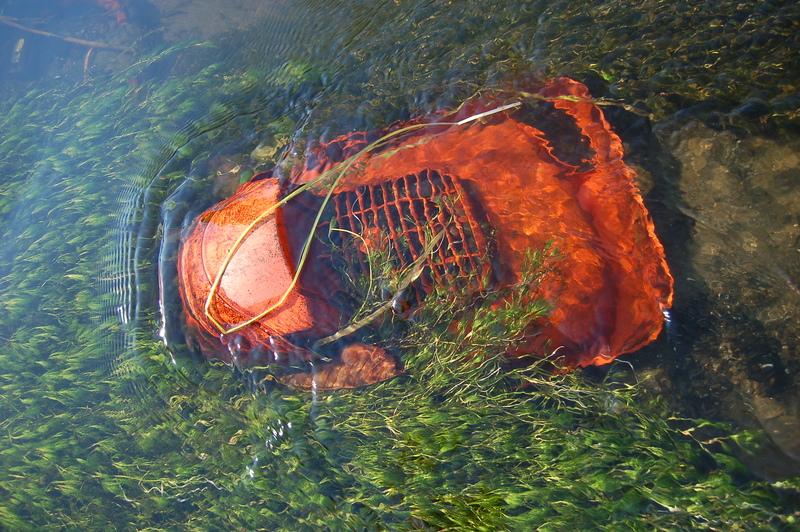 Don’t go above waist depth, stay wading in areas you are comfortable with. Each event will kick off at 11am with a Welcome Talk and Health & Safety Briefing, so please make sure you arrive in good time. We then work through till 1pm when we have a refreshments break, with Tea, Coffee and Cake all supplied, and then back to work until 3pm when we pack up and go home. Our events take place no matter the weather (within reason), so please make sure you dress appropriately in old clothes you don’t mind getting a little dirty. 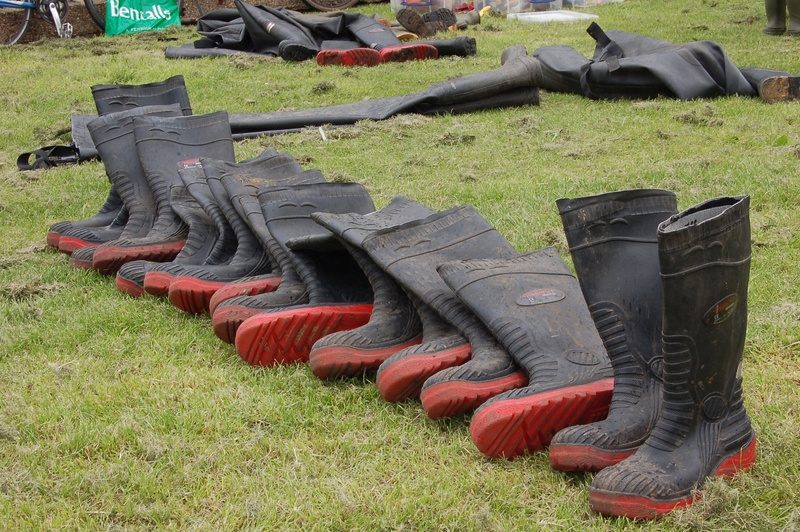 Please wear either wellies or walking boots as you will be working along the river bank where it can be muddy, wet and slippery. 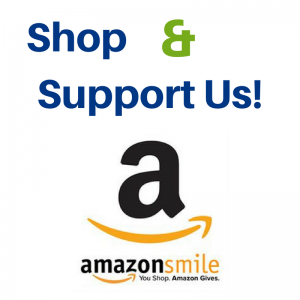 We supply chest waders, gloves and all the equipment you will need. We suggest you bring along spare clothes in case you get wet, as well as a packed lunch and some water to drink. 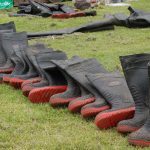 We post all our Cleanup events on our calendar but by joining our mailing list you will receive an email ahead of each event, as well as other events you maybe be interested in such as planting days and restoration work. We can only run these events thanks to the support of local partner organisations and businesses who provide funding and in-kind support. Wandsworth, Merton and Sutton Borough Councils arrange to collect and dispose of the rubbish we find. Without this, we could not host these events. Big Yellow Wandsworth provide us with free storage to store the equipment we need to run large community events.